You can click on their interactive maps and download the data from this website, and have a look to see whether your local World Heritage Site, or World Heritage Sites per-se are making a difference. I am delighted to be able to announce that as of September 1st 2015, World Heritage UK has been granted Charitable status. This is great news and puts the organisation on a firm footing to start to make a real difference for our existing and Tentative List World Heritage Sites. Below is the text of a press release sent out this afternoon – please do feel free to pass it on to your local media or other interested parties. Many thanks for your patience, your involvement and your interest and I hope to see many of you at the conference in Saltaire. A new conservation and heritage charity, World Heritage UK, has just been created to help care for the UK’s 29 fantastic and unique World Heritage Sites; recognised by the United Nations as being of ‘Outstanding Universal Value’. The charity aims to be the main voice for World Heritage in the UK and will be the only organisation that is exclusively focused on World Heritage issues. It will build partnerships and relationships across the sector, and with partners, such as national and home nation governments, UNESCO in the UK, Local Authorities and the National Trust, and it will disseminate information regarding the 1972 UNESCO World Heritage Convention and related issues. Private organisations and individuals will also be encouraged to become members and get involved with their World Heritage Sites locally and nationally. 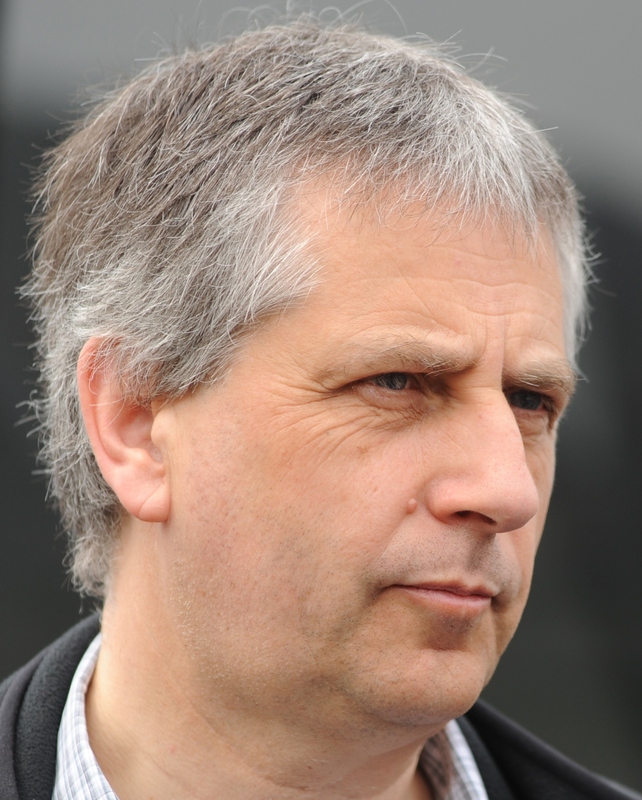 Dr Sam Rose, Chair of the new board of trustees said: “The UK’s World Heritage Sites are a fantastic national resource for education, tourism and for our international image. They include some of our greatest cultural and natural assets such as Stonehenge, The Giant’s Causeway, Old and New Towns of Edinburgh and the Castles of North Wales. They are also great fun to visit! Other countries make far more of their World Heritage Sites and the UNESCO World Heritage ‘kite-mark’ as positive tools for conservation and regeneration – we are keen to take a leaf from their book”. Professor Ian Wray, a new trustee said: “Almost by definition many of the UK’s greatest cultural and collective assets are found in World Heritage Sites. They are a link with our past and our future. At a time when some political developments are changing the UK’s national identity, a strong focus on our common World Heritage can help bring us together”. 3. World Heritage UK is a Charitable Incorporated Organisation, no 1163364 and has evolved out of LAWHF – the Local Authority World Heritage Forum. 5. The Saltaire conference is gratefully receiving some support from Historic England. ‘Make Heritage Fun!’ is a distributed social media campaign started by GoUNESCO with the simple goal of getting groups of heritage enthusiasts to get together, explore heritage and share their experiences online. Why do we need ‘Make Heritage Fun’? While everyone loves their heritage, there is a need for newer methods of engagement to be built for younger audiences. These methods need to use the tools that the audiences are most comfortable and familiar with. Online social networks are almost a second home for youngsters these days but at the same time, they value the importance of offline interactions. The Make Heritage Fun campaign is a youth engagement tool that is built on these premises. Through events coordinated locally by volunteers and organizations across the world, and by using a common hashtag ‘#MakeHeritageFun’ everywhere, this campaign aims to become a point of engagement for laypersons – both online and offline. The events themselves can be as simple as two people exploring a heritage site together and sharing photographs on social media. They can also be much more complex, such as a treasure hunt spread across a big area, organized with the support of tens of volunteers. A date is picked for the campaign. Local coordinators are identified; these coordinators can be individuals or organizations. GoUNESCO connects coordinators with other volunteers who want to help coordinate and with folks who want to participate. These might include past and current GoUNESCO Student Ambassadors as well. Coordinators pick a venue, plan an activity (ex – heritage walk, treasure hunt, etc) and communicate this to GoUNESCO. GoUNESCO creates Facebook events for each city/venue and helps promote the event through social media and its partner network. GoUNESCO also shares promotional material including collateral to share on social media and at the event. Coordinators promote the event through their networks and think of ways to promote locally as well. Coordinators meet up, visit the identified venue and create a detailed plan of execution for the activity. On the day of the event, Coordinators reach venue early, engage with the other participants, explain the idea behind the event, encourage participants to share experiences online with the hashtag and execute the planned activity. After the event, Coordinators write a brief report on their experience and about the event. GoUNESCO publishes reports from different cities and distributes to all coordinators so ideas, experience, learning can be shared. An important aspect of these events is the strong offline-online connect. The internet and social media is used heavily to plan and promote the events. The hashtag ‘#MakeHeritageFun’ unifies all the experiences, amplifies them and provides participants a connect with their global counterparts. At the same time, the offline interactions at the events help connect them with heritage enthusiasts near them. The second key aspect of these events is their independent nature. By encouraging local coordinators to choose an activity they want to do, it is hoped that the events are easy to organize and at the same time not impeding creative ideas. Participating organizations can convert their existing activities into a Make Heritage Fun event too. We hope that this freedom will encourage more partners to embrace the idea of Making Heritage Fun. We support the coordinators by sharing suggestions, connecting them to other interested volunteers/participants, providing material for promotion and managing social media promotion. The first Make Heritage Fun event was organized almost simultaneously in 11 cities in Asia and Europe on June 28, 2015 (full report here – link). In Delhi, participants created posters with funny one-liners to take photos with. 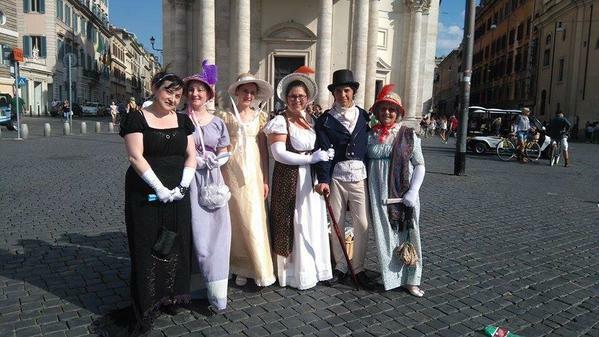 In Italy, they dressed up in Regency era costumes and explored a heritage site. Hundreds of photographs were shared on Twitter, Instagram and Facebook. The next Make Heritage Fun event is planned for September 13 and this time we are coordinating the event in more countries with the help of even more partners. Do join in! Please write to us at makeheritagefun@gounesco.com in case you would like to coordinate an event at your World Heritage Site.